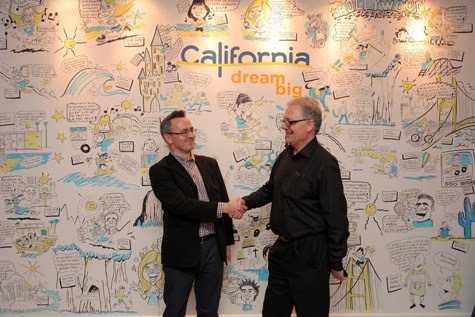 Here's me with fellow cartoonist Simon Ellinas and a wall full of cartoons at a recent live-drawing event in central London. 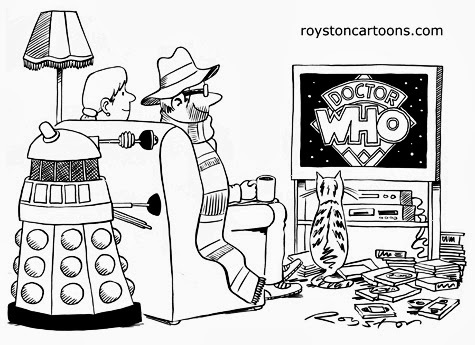 It has been a very busy month cartoon-wise, hence I've not updated the blog for a while. I'll redress the balance next month when I post a load of Christmas cartoons. 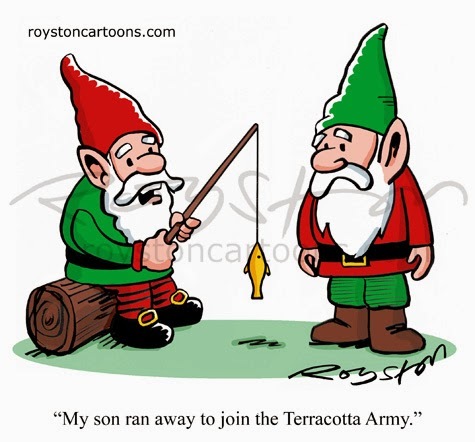 In the meantime, here's a recent one about gnomes. "My son ran away to join the Terracotta Army." This book is finally released today, to coincide with the 50th anniversary of Doctor Who this month. I'm a fan of the show (though nowhere in the same league as Neil, the author of the book) so it's fun to be a very small and unofficial part of the celebrations. This is the original drawing. Faber, the publishers, added the colour. And below is the illustration I drew for the back cover, a shelf full of mundane kitchen stuff alongside Doctor Who paraphernalia. It's a bit small to see the detail here, but I had fun coming up with the titles of the books on the shelf, such as Cybermen Behaving Badly and The Doctor's Day Off. I'd like to read that last one, though there's no sigh of him taking a break any time soon. 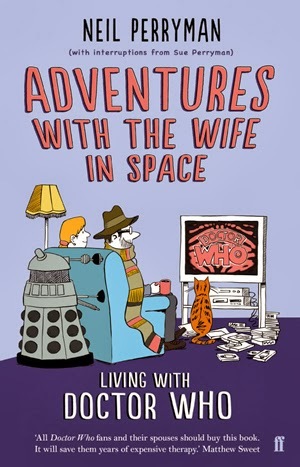 For more on the original Wife in Space blog cartoons click here.